Beautiful Area Rugs. Custom Made for You. Choose from a huge selection of carpet remnants at Carpet Depot to create a custom rug that is the exact size and style that you want for your home at a great discount. Create the perfect rug for an odd size room, a living room, dining room, a hallway, stairs, outdoor patio area, and more. No matter where the rug is going we have great options for you to choose from. Carpet remnants are also a great option for carpeting small areas, patching a damaged spot of existing carpet, creating a pet bed, and much more. 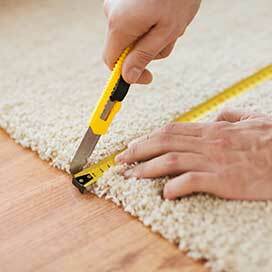 Why Use Carpet Remnants for Rugs? Making area rugs from a carpet remnant opens up a wide range of possibilities for fractions of the price of premade rugs. 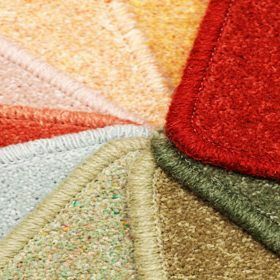 You can choose the perfect type of carpet for the space, such as frieze for a plush rug or loop pile for a durable rug that works great in work areas or high traffic areas. You can also get the rug made to any size you want. 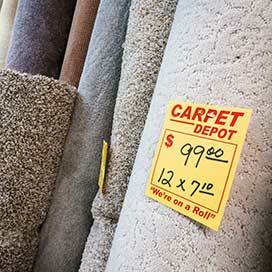 Carpet Depot has a huge selection of carpet remnants from top manufacturers at heavily discounted prices. Get a custom area rug, runner, mat, and more! Any size, any carpet! All it takes to create your own custom area rug is to pick from our large selection of carpet remnants, give us the measurements for your new area rug, and we will cut and bind to the exact size you want!